Be advised that starting April 30, 2015, I値l be out of commission until mid-June due to back surgery. During this time no orders will be filled. If you place an order during this period, I won't be able to respond. Also, if you e-mail to ask a question it may be a while before I respond. So please be patient if you don稚 get an e-mail response or receive your quickly. 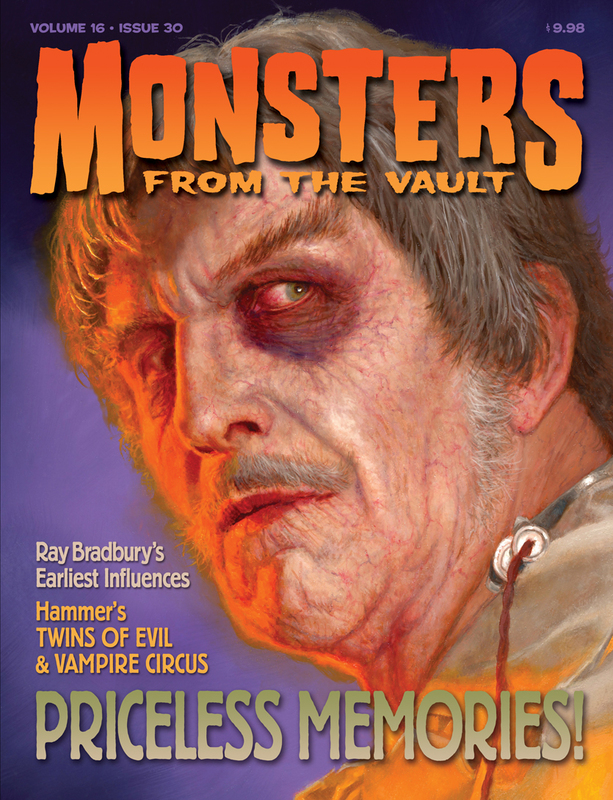 Once I知 able to get around and do a little more, I値l start catching up on all things Monsters from the Vault-related. My recovery period is between 4 - 6 months and my physical activity during this time will be very limited. 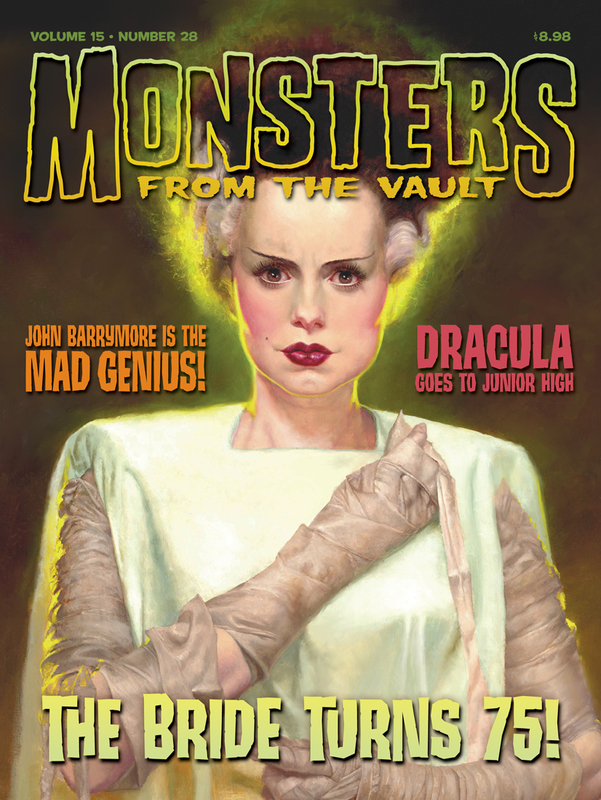 Therefore, the final issue of Monsters from the Vault will not premiere at the June Monster Bash as planned. 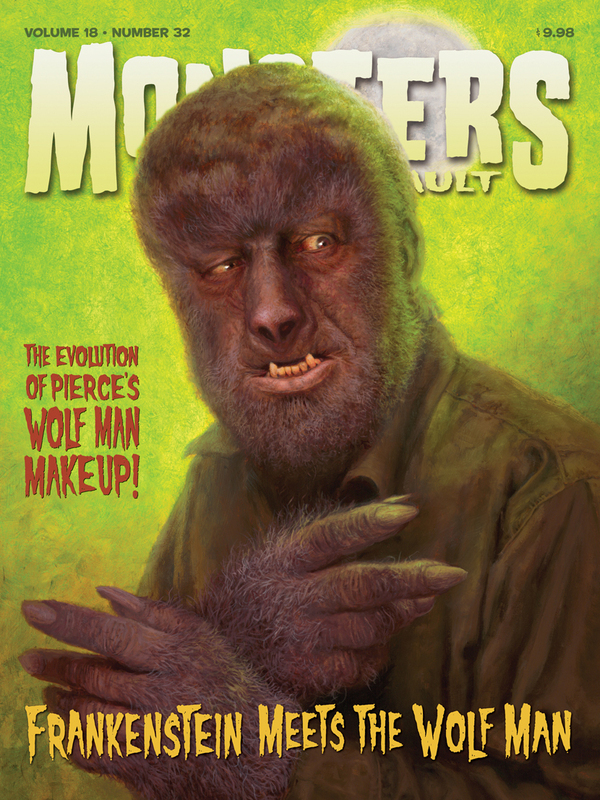 The issue will now premiere at the October Monster Bash instead. Believe me, it will be worth the wait! I hope to be able to post the final issue contents and covers here before my surgery; however, I知 still waiting on a few things before doing so. If it doesn稚 happen, it値l be posted by the end of May. Once again, thanks for your patience and understanding during this period. 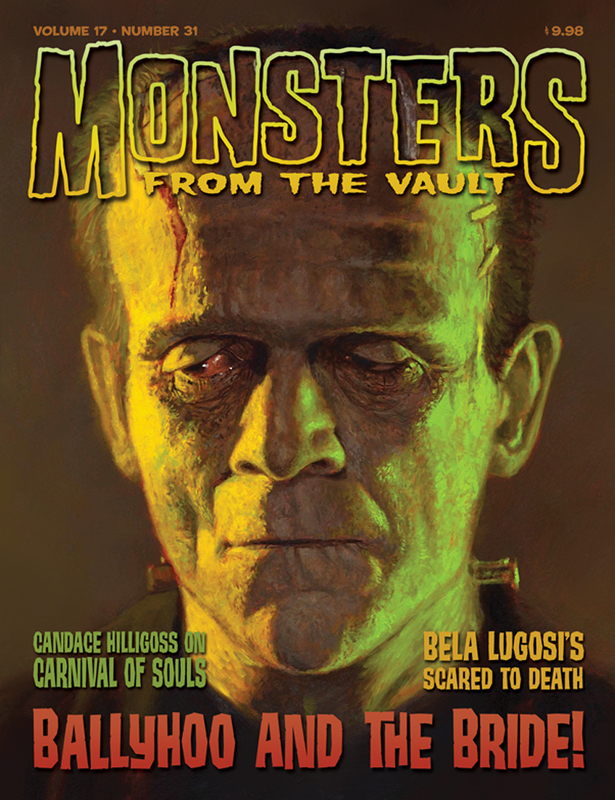 MONSTERS FROM THE VAULT #21 NO MINT COPIES REMAINING! 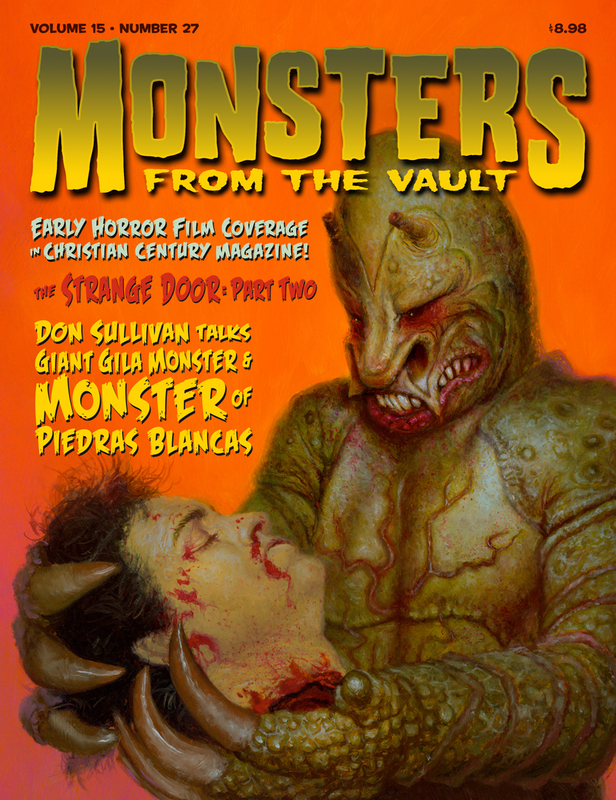 MONSTERS FROM THE VAULT #26 NO MINT COPIES REMAINING! MONSTERS FROM THE VAULT #29 NO MINT COPIES REMAINING! 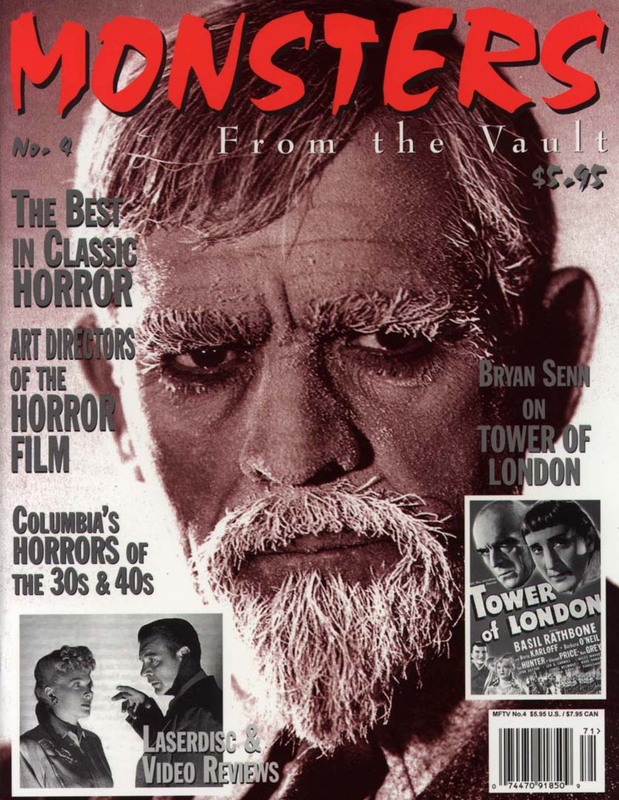 MONSTERS FROM THE VAULT #30 NO MINT COPIES REMAINING! 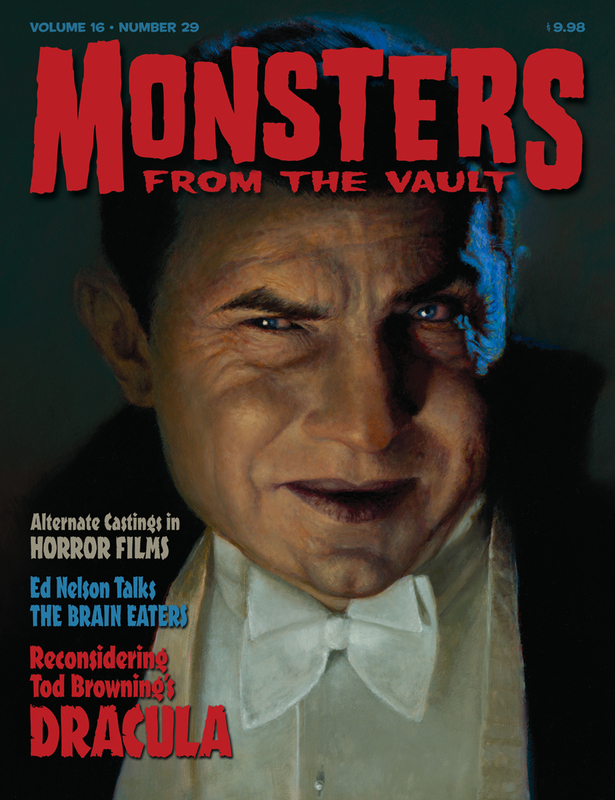 MONSTERS FROM THE VAULT #31 NO MINT COPIES REMAINING! 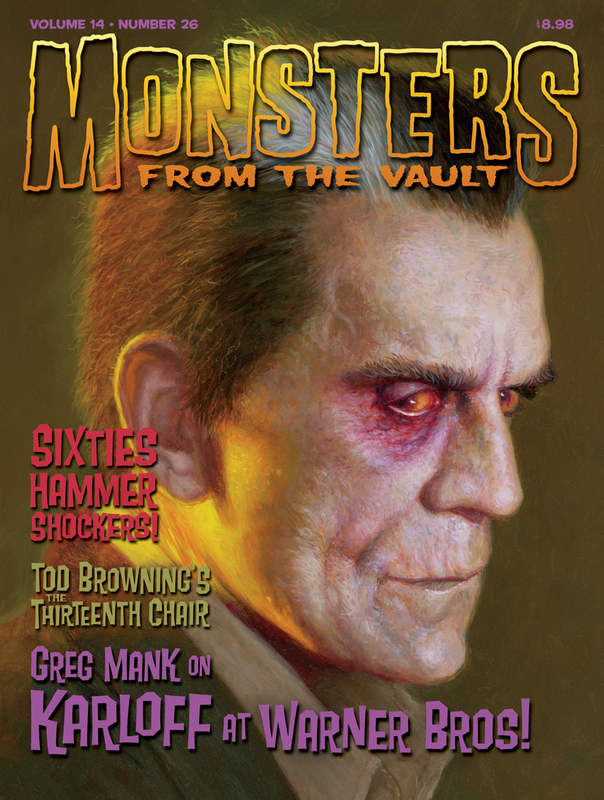 MONSTERS FROM THE VAULT #32 NO MINT COPIES REMAINING! All issues above are available for the single-issue price of $12.00 USA/$13.00 Canada. The price includes First Class shipping (Air Mail for Canada). Be aware that due to the limited stock of most back issues, the majority of the remaining coipes are not in "mint" condition. I'll always ship the best available copies, but the may not be 100% mint. Effective immediately the following procedures must be followed for all multiple back issue orders: Click on the USPS Postage Rate Calculator (www.postcalc.usps.gov), then select "Package". Next, for every back issue ordered (2 or more) add one pound in the "Weight" box (if you order 2 issues, enter 2 pounds, if you order 3 issues, enter 3 pounds, if you order 4 issues, enter 4 pounds, etc.). Next in the "From ZIP Code" box put 21009, and in the "To ZIP Code" box put your ZIP code. Finally, hit "Continue" and multiple shipping rates will be displayed, ONLY, I repeat ONLY use the Priority Mail rate as ALL back issue orders ship via Priority Mail (no exceptions). If you send the amount for another type (such as Parcel Post, Bound Printed Matter, or Media Mail) your order will not be processed until I receive the correct amount. I'm sorry this has to be so complicated, but I can no longer continue to lose money filling orders, if I do so it will be the end of Monsters from the Vault! If the shipping total exceeds the cost of the USPS Medium Flat Rate Box ($12.35), I will use it and the cost of shipping will be $12.35 regardless of the number of issues ordered. This is usually the case for multiple issue orders shipping west of the Mississippi. Foreign back-issue orders will be accepted, but shipping costs (via Air Mail only) must be determined before placing the order! Foreign readers contact me at editormftv@comcast.net with a list of back issues desired. Once the actual shipping costs have been determined, you will receive an e-mail from me with the total amount due. Once payment is received your issues will ship. Please allow 2-4 weeks for your order to be processed, shipped, and received. Issues are shipped in Jiffy Rigi Bag cardboard mailers to prevent (or minimize) damage. However, due to a huge price increase, copies shipping to Canada are now shipped in a flexible Tyvek envelope. The difference postage between a Tyvek envelope and a Jiffy Rigi Bag cardboard mailer has forced me to make the change. While I hope the copies going to Canada make it in one piece, I won't be able to send replacements if they're damaged. Or Pay me securely with any major credit card through PayPal!